Top 5: Books as Event Themes! 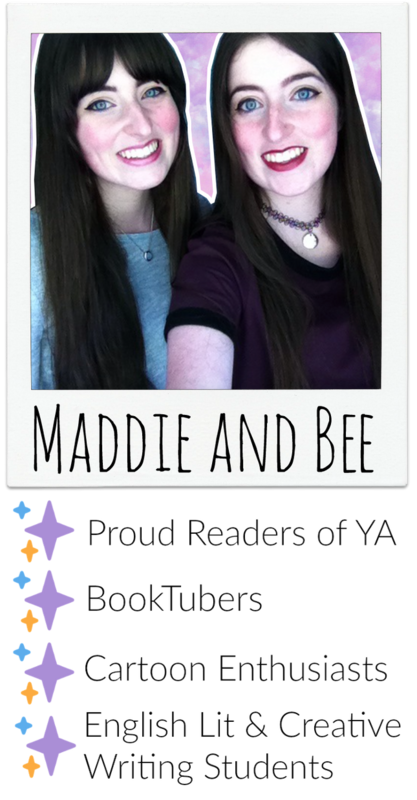 Maddie: Neither Bee or I are really party people. The closest we’ve got to a book party is listening to Hailee Steinfeld while we read. This Top Five Wednesday theme encourages us to think outside the box to create the perfect themed get-together and a couple of books instantly jump to mind! First, To All the Boys I’ve Loved Before by Jenny Han. I’m not suggesting that we all sit around and write letters to past crushes, but can you imagine the aesthetic of the party? It would be pastel confetti, tea dresses and homemade baked goods galore. We’d make each of the sisters’ favourite cookies and then play the ninja-warrior-hide-and-seek-tag game from the second book. Now that’s the kind of party I’d attend in a heartbeat. Next, Percy Jackson and the Olympians by Rick Riordan. Everyone would be claimed by their godly parent, when they arrived, with a fun personality quiz. Then we’d play Capture the Flag. (I just like parties with games, okay?) If there was some real planning involved, we’d stage a quest to find…something. Or go in a maze. Next up is We Were Liars by E. Lockhart. The party would last over a whole weekend, preferable on a beach, or even better, a remote island. (Note to self: make friends with someone who owns a remote island.) There’d be dancing on a beach, a big bonfire…too soon? And, of course, some secret spilling when the stars came out. And finally, for the ultimate chill, girly get together, is Am I Normal Yet by Holly Bourne. Start a revolution and have a good time? Yes please! And it wouldn’t be a feminist meeting without cheesy snacks in someone’s bedroom. Just as long as cheese dust doesn’t make it on the sheets, guys. Next Sequels I Need to Read! I loved these party ideas, they’re so perfect. I am definitely not a part person either, but I would totally go to Lara Jean’s party, and the Spinster’s party. I’m not sure about the We Were Liars one though…maybe a little less angst and wilful forgetting would make it a better party. You’ve also reminded me that I need to finish the Geek Girl books! I would also love to go to a Daughter of Smoke and Bone party, because you could dress up and decorate things with sparkles, or a Literally party where everyone could be a cliche.